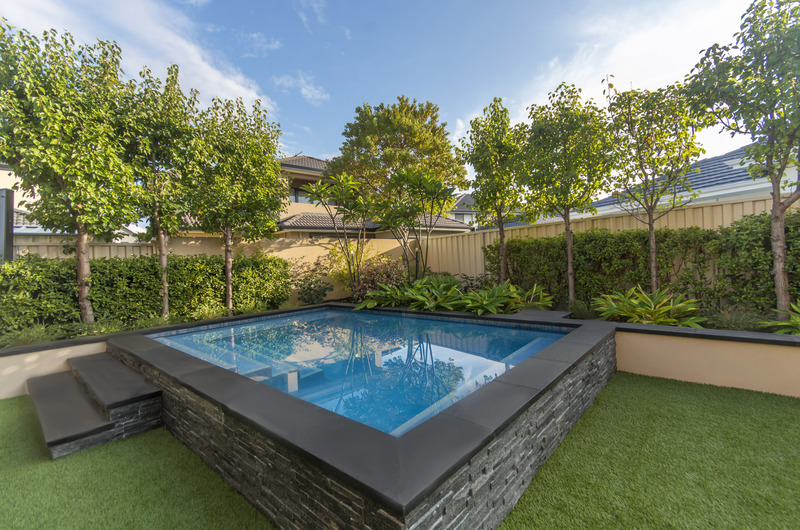 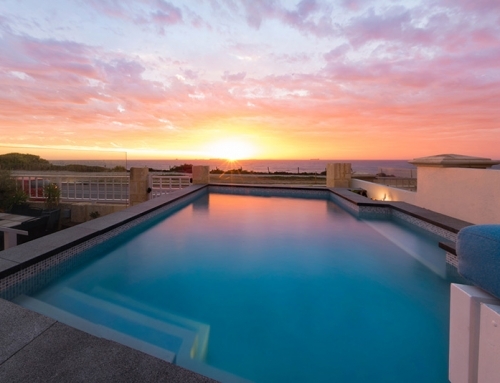 The Swanbourne plunge pool was constructed in conjunction with the house building process. 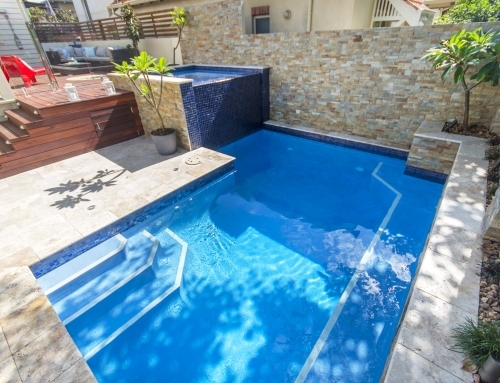 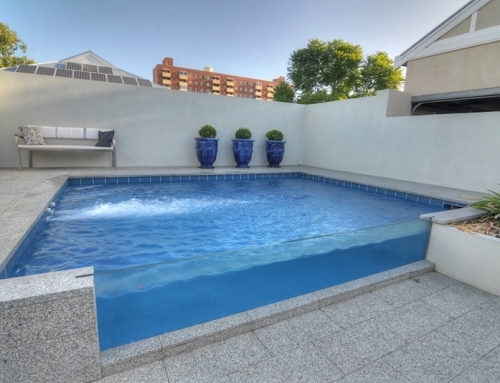 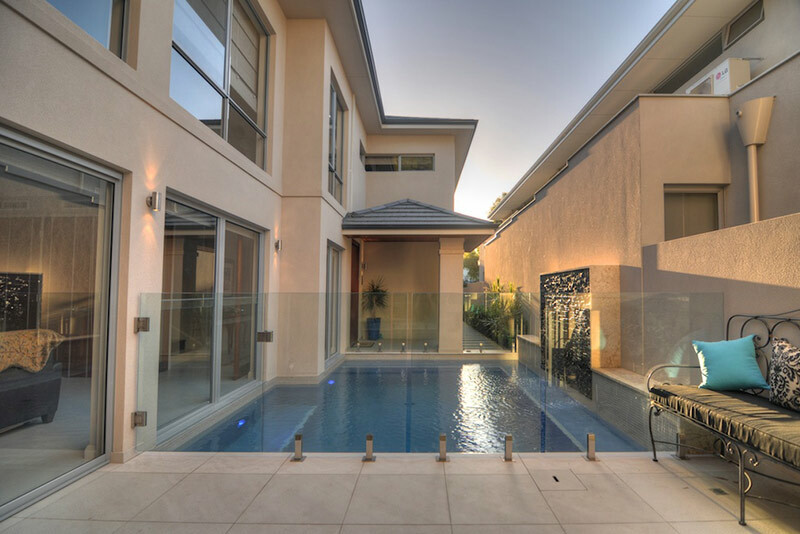 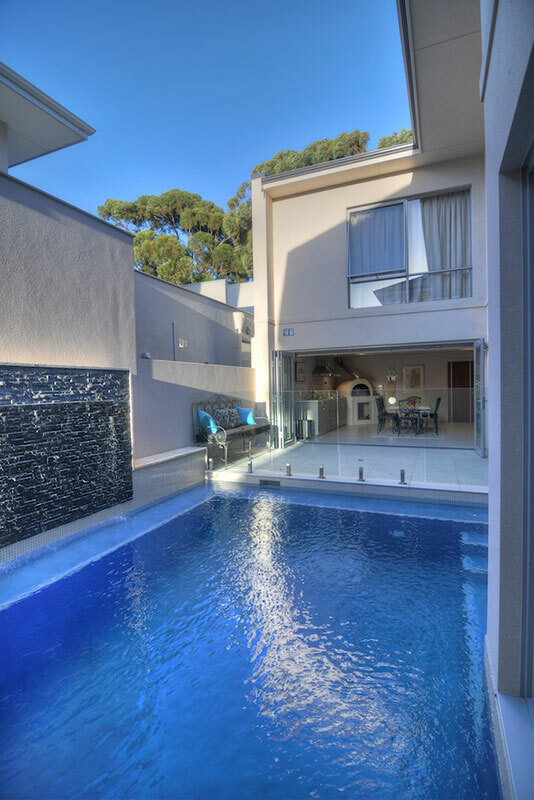 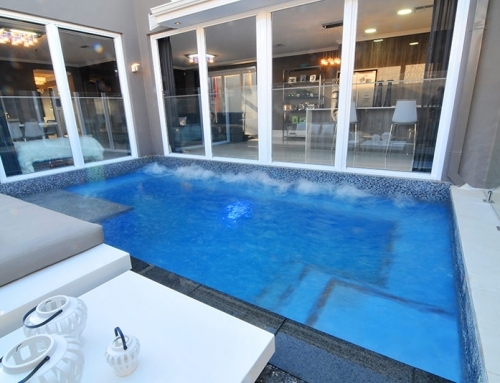 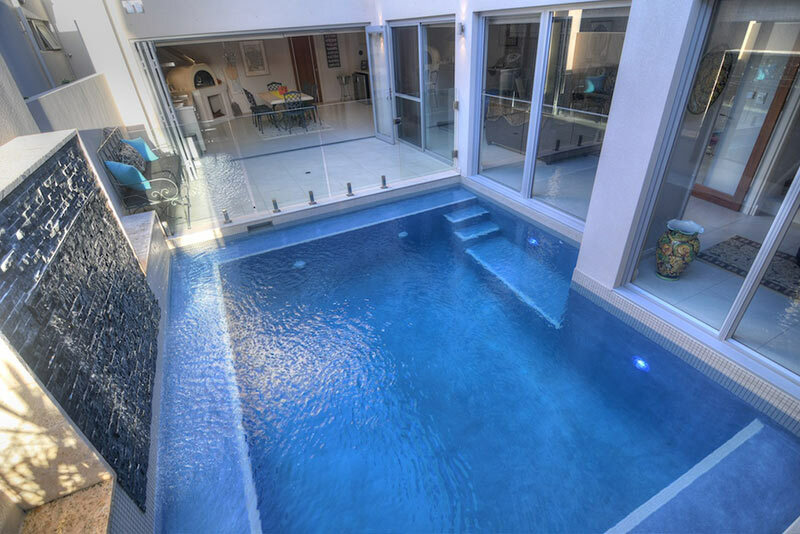 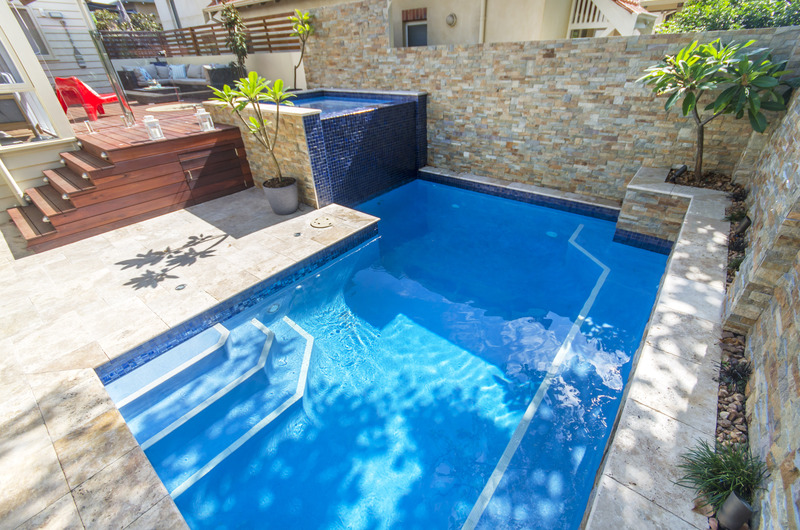 Careful planning and specific engineering allowed a full integration of pool and home. 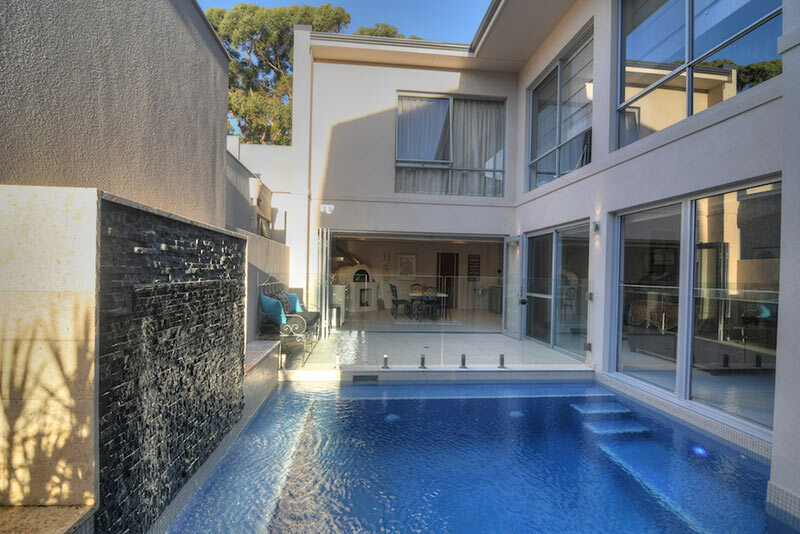 Bringing the outdoor indoors with the aesthetic design to the home and the alfresco areas. 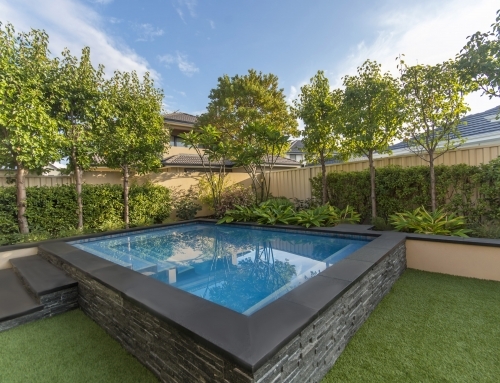 Multiple submerged benches provide a relaxing place to sit and socialise plus provide a functional platform for house maintenance. 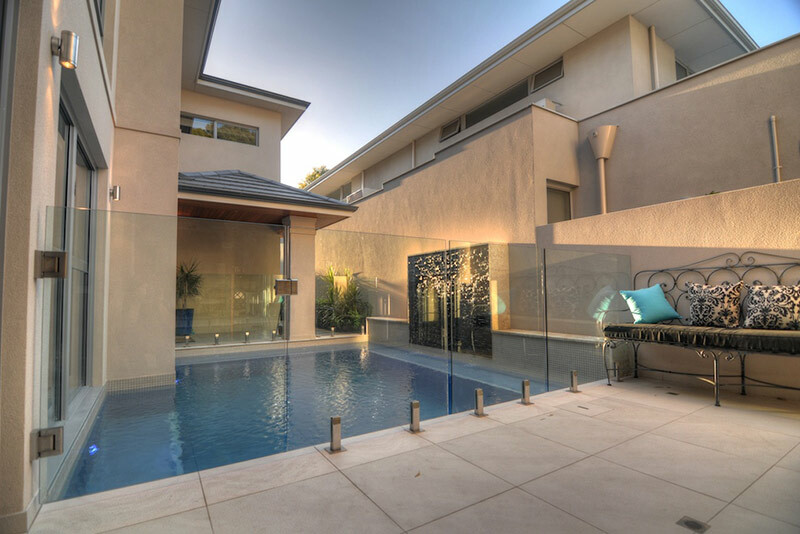 A stacked stone water feature gives a striking visual effect and focal point which can be viewed from the living areas of the home, creating the tranquil feel our clients were hoping for.